The 2018 TOMODACHI-STEM @ Rice University Program is a five-week research internship program for ten female undergraduates from Japan who are majoring in science & engineering (S&E). The program will enable students to gain real world experience with S&E research, provide an introduction to U.S. higher education and provide opportunities for cultural engagement and collaboration with U.S. students. The first four weeks will be spent at Rice University in Houston, Texas were students will participate in hands-on research in a science or engineering laboratory, communication and presentation skills training, seminars on higher education and STEM issues in the U.S., and cultural engagement programming. In addition to academic research, participants will also learn about professional opportunities in STEM through a company site visit while in Houston. 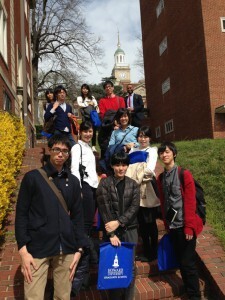 During their final week in the U.S., students will participate in a 3-day career and leadership development workshop for women in STEM at Lehigh University and a 3-day science and technology policy program in Washington, D.C. that will combine site visits to U.S. and Japanese government agencies and non-profit organizations in STEM fields. 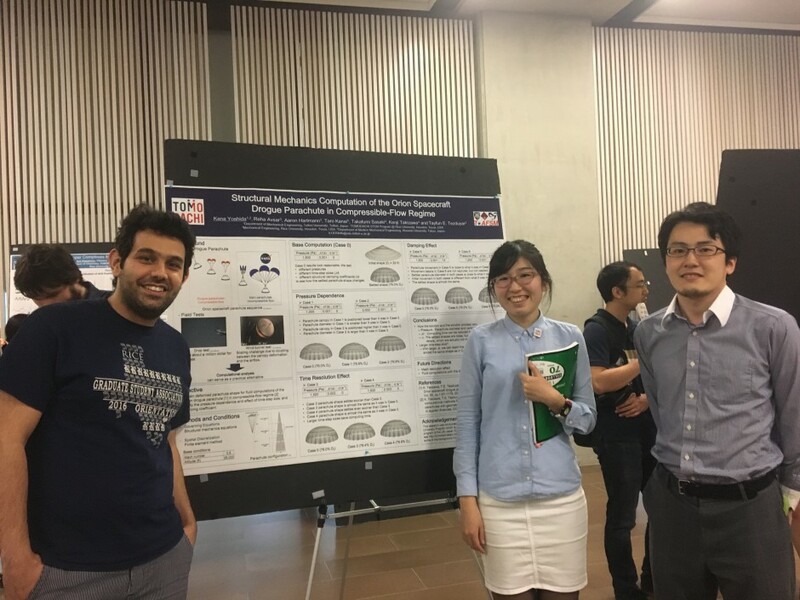 The capstone experience of the program is the presentation of a topical research poster, in English, on the scientific research projects the student’s conducted at Rice University. The program will serve as a catalyst for female Japanese students interested in S&E study and research and engagement with the U.S. through international research collaborations. To view profiles of 2018 participants, click here. The 2017 TOMODACHI-STEM @ Rice University Program is a five-week research internship program for ten female undergraduates from Japan who are majoring in science & engineering (S&E). Held at Rice University in Houston, Texas, the program will enable students to gain real world experience with S&E research, provide an introduction to U.S. higher education and provide opportunities for cultural engagement and collaboration with U.S. students. The program will serve as a catalyst for female Japanese students interested in S&E study and research and engagement with the U.S. through international research collaborations. The 2016 TOMODACHI-STEM @ Rice University Program is a five-week research internship program for 10 Japanese undergraduate students majoring in science & engineering (S&E). Held at Rice University in Houston, Texas, the program enabled students to gain real world experience with S&E research, provide an introduction to U.S. higher education and provide opportunities for cultural engagement and collaboration with American students. During the program from February 21 – March 27, 2016, Japanese participants were be placed in teams of two into a Rice University research lab where they spent four weeks working on a research project under the advisement of the U.S. professor and their assigned U.S. graduate student mentor. The capstone experience of the research internship was the development of a research project poster that was presented at a symposium held at Rice University, which was presented to the student’s home university upon their return to Japan. In addition to research, students also participated in weekly English language classes, an Introduction to Science & Engineering Research in the U.S. seminar, and cultural activities and excursions. Following the completion of the four-week internship, the students traveled to Washington, D.C. for a one-week Science & Technology Policy Study Tour.